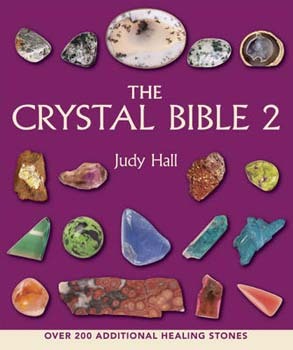 Beautifully illustrated, The Crystal Bible 2 offers a comprehensive guide to crystals, their shapes, colours and applications. With informative descriptions and an easy-to-use format, it is an indispensable practical handbook for crystal lovers and users everywhere - both beginner and expert alike. The book's directory format and beautiful, full-colour photos ensure that the crystals are easily identifiable. Descriptions, which accompany each of the crystals, provide all the information on their appearance, worldwide distribution, attributes, actions and healing properties. All the major and less known stones currently available are contained inside, including those only recently discovered. A comprehensive index cross-referencing crystals to applications, aliments and conditions make this book a vital reference for all crystal users. This new edition contains over 200 additional healing stones, so that you can further your learning of how crystals can be used to heal and their other valuable properties.